Who Is Responsible For That Fallen Tree? - Ward and Smith, P.A. In the aftermath of Hurricane Matthew many of us are dealing with damage caused by fallen trees. In planned communities, the question of responsibility for damage caused by fallen trees is often posed to the owners association. 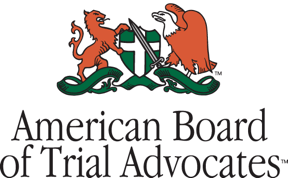 Although it is not the association's job to play arbiter if a dispute arises between lot owners, owners association board members should understand the general law regarding fallen trees. 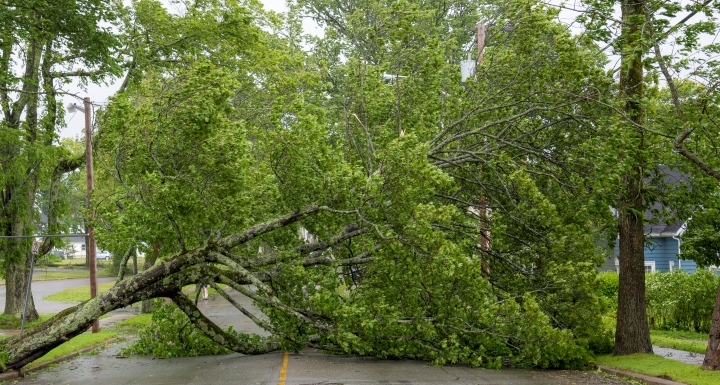 The law of fallen trees in North Carolina is based largely on the legal theory of negligence. According to principles of negligence, the owner of the property from which the fallen tree originated will be liable only if the owner knew that the tree was hazardous or such hazard was obvious. How do you know if a tree is a hazard? If the tree is dead, dying, rotten, or diseased, or alive but obviously hazardous because it is leaning precariously toward another property, the owner of the property where the tree grows will most likely be liable for any damage caused by the tree if it falls on another's property. On the other hand, if a tree is alive, appears to be healthy, and is not leaning toward another's property, and the tree falls because of a hurricane (normally considered an "Act of God"), then the owner of the lot from which the tree fell will probably not be liable for any damage the fallen tree causes. While there are circumstances that could shift the liability, they are rare. What does this mean for owners associations? Unless a fallen tree was located on common area owned by the association (and the association knew, or should have known, the tree posed a hazard prior to the storm) or the association is obligated per the terms of its governing documents to remove fallen trees on lots (this would be unusual), the responsibility for the fallen tree lies on one of the two lot owners (the owner of the lot the tree was growing on or the owner of the lot upon which it fell) and they must resolve the problem themselves. So, if a tree located on one owner's lot falls on another owner's lot and those two owners come to the association for answers, barring an unusual provision in the governing documents, the association can feel comfortable telling the owners that this is not an issue for the association. Please note, however, that board members should not give legal advice, but simply inform the lot owners that the tree is not the association's responsibility. If a tree located on an owner's lot falls onto association property and causes damage, the association's ability to have the owner take responsibility for the tree removal and/or pay for any damage it caused will depend not just on what property the tree was located on prior to the fall, but consistent with principles of negligence, the owner's negligence determined by the factors mentioned above. If a tree located on association property falls onto an owner's lot and causes damage, similarly, liability for the damage will depend on the same factors. Owners associations should keep the law regarding fallen trees in mind before immediately assuming they are responsible for any damage caused by trees that fall from association property or trees that fall onto association property. A wrong assumption could unnecessarily cost an association a lot of money for removal and or repair. This post is not intended to give, and should not be relied upon for, legal advice in any particular circumstance or fact situation. No action should be taken in reliance upon the information contained in this post without obtaining the advice of an attorney. If you have questions concerning this post, please contact Justin Lewis at jml@wardandsmith.com.